There is so much age discrimination in Hollywood. Even though someone may look or write or direct as a certain aged person would, people lose jobs everyday because they are "just too old" and sometimes "too young". IMDB has become the first source of information for industry professionals and therefore has the most impact on hiring. IMDB has been uncooperative in the past in removing or even changing birth dates. We believe that age should be private as it is in most other industries. It will also be sent to the district attorney’s office to see about investigating IMDB for breaking age discriminatory laws as well as being used to file a class action lawsuit against IMDB (Amazon). 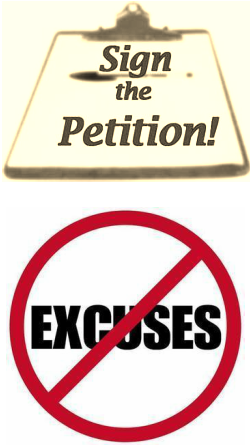 If you are afraid of losing work by signing this petition, please don't be. No one is going to blacklist you for using free speech about discrimination. But, if we don't do something now and IMDB becomes even more important in tracking entertainment industry professionals, it maybe too late to change this. I am a working actor and I am creating this petition because it is important to make positive changes for artists everywhere. Thank you for your support and I look forward to our success. Ryan Surratt for Entertainment Industry Professionals Everywhere. to unsubscribe or not receive email, contact us and we will take you off immediately.